I've ignored this space for too long and am back with important things...like Pumpkin Beer! I couldn't let Pumpkin season go by without sharing our faves from this year's tasting. 90 degree weather we had right around the time Fall rolled around on the calendar, Mark and I still spent the first weekend of Fall trying all of these pictured here. Halloween has come and gone but I'm still here for all things Pumpkin. I'm just not ready to race into Christmas yet and we still have a full three weeks before Thanksgiving. I want to rank these, but the truth is that they are all so different in their own way and I just don't think it's fair to compare. As always, Foothills Pumpkin Ale with Spices (formerly known as Cottonwood Pumpkin Ale) is our go to pumpkin beer each season. This has been my favorite for many years and I always go back to it. It's extra delicious if you can ever find it on draft! With just the right amount of spice to pumpkin ratio, it's the perfect pumpkin beer! Sycamore's Gourd Have Mercy is a local favorite for me. It's extra delicious from a keg or on draft! It's not as spicy as other pumpkin beers, is slightly sweet and very smooth. It's also not a very heavy pumpkin beer which I love! Southern Tier's Pumpking is always a crowd pleaser. These are potent little pumpkin ales but a true treat! It's that graham cracker crust buttery finish. SO GOOD. Pumpkin Pie Porter from Deep River Brewing is a perfect cozy cold weather Fall beer. Think after dinner, around a fire pit type of beer. If you like darker beers, this one's for you. Post Road Pumpkin Ale is another solid one. It's nothing too complex or fancy and is an easy one to sip on. I would say it's a good intro to pumpkin beer, for those that may be skeptical of what the rage is all about. This Pumpkin Latte Blonde Ale was a special edition from Sycamore and as soon as I saw it in the store I grabbed it as fast as I could because I knew it would go fast. It's light, slightly sweet and not as heavy on the coffee as you would think. I tasted more latte than pumpkin, but I really enjoy these blonde ales with coffee notes. Lastly, the store didn't have any of this when I went to get our beer haul early in the season, so we didn't drink it during our official tasting. NODA Brewing's Gordgeous is AMAZING. It's always delicious but whatever they did to it this year is beyond and I can't get enough. I've stockpiled it in our outdoor fridge. As of Monday, my Harris Teeter is completely out and won't be getting anymore so I high tailed it to Total Wine and grabbed some more. If you have some in your fridge, consider it that you are housing an endangered species in there. Don't rush into the holiday season just yet- the pumpkin still deserves a few more weeks to shine. If there's one thing that I will always love about blogging, it's the sense of community it brings. I started this little space almost 10 years ago which is crazy to think about! Social media and the internet can be a crazy place, but I have met some of my dearest friends through blogging and for that I'm forever thankful. 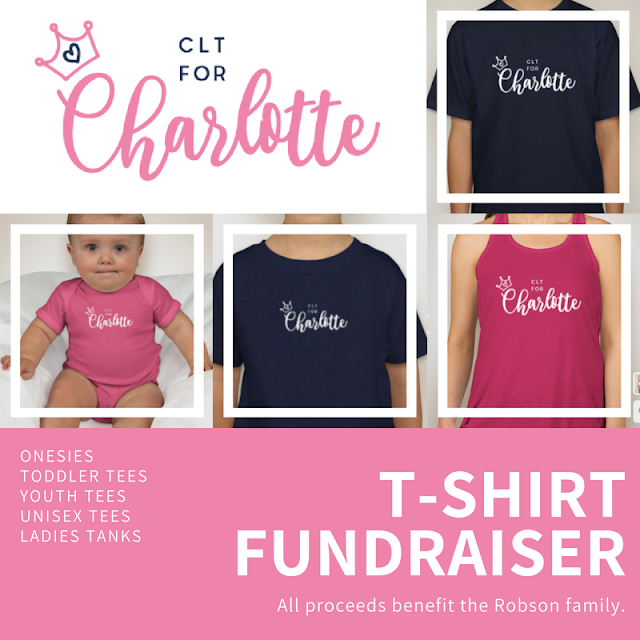 I'm popping in today to share the story of my friend April's sweet little girl Charlotte in hopes to reach more people and share a few things we are doing around the city of Charlotte and beyond to help this wonderful family. Our Chari-girl. 💕 Many of you have followed along on our journey and know we’ve been desperately seeking answers for why Charlotte didn’t start walking and why we’ve seen other scary regressions lately. I wanted an answer so badly. Now I wish we didn’t have it. We are heartbroken to say we’ve received news that she has Leukodystrophy, which is incurable and terminal. I don’t even know what to say. We’ve been at the hospital since Monday afternoon. We have a group of angels as friends who have stepped in and set up a designated email address to manage for us requests that have been coming in of how to love on her during this excruciating time (robsonfamilyhelp at gmail). We are respectfully requesting for privacy at this time while we just love on Char and work on getting her home. A Go Fund Me has been set up for the Robson family to help with medical and any other unforeseen expenses during this time. 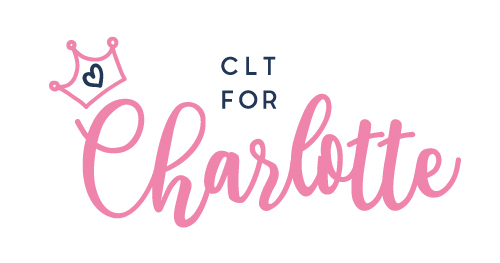 Additionally, we have some super cute tees with the CLTforCharlotte logo- I can't wait to see everyone around Charlotte and beyond wearing these. The t-shirt sales end THIS SATURDAY, August 18, 2018! We originally set the goal to sell 150 shirts but sales sky rocketed this weekend and now I'm thinking we can get to 500 or beyond! Just amazing. 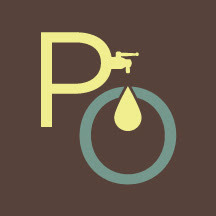 CLICK HERE for Adult and Youth tees. 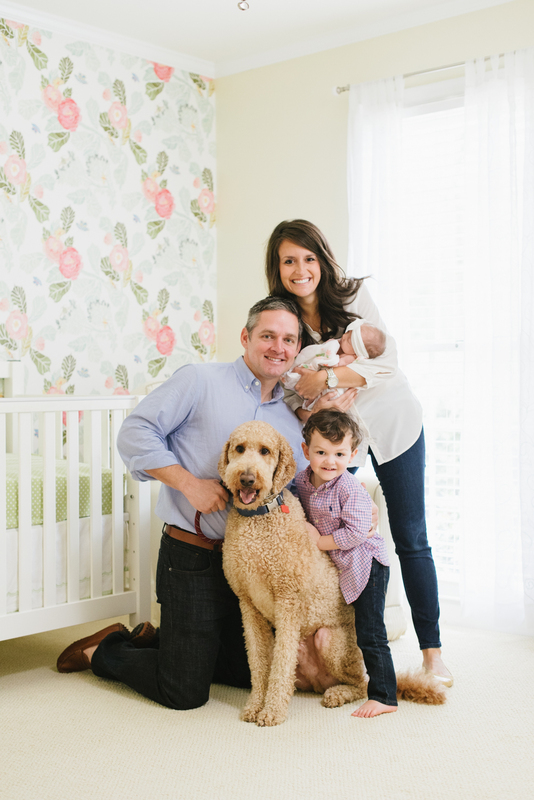 All the prayers and love to this sweet family. We spent this past weekend in the mountains of North Carolina (Beech Mountain for you NC readers) and the air up there is just so refreshing! I spent 4 years in Boone for college but I never ever spent a Summer in the mountains and I almost wished I had. It's such a nice slow pace at this time of year and although it's still warm and Summery, it's just always extra crisp. I have simple meals on deck this week and as I was scrolling through my iPhone photos, this beautiful plate of grilled okra caught my eye and I had to share. If you're not grilling your okra, you're doing it wrong and if you're not eating okra? Well then you're doing it REALLY wrong. I do think that okra is mostly a texture thing and any aversion to it would have to be that but I have really grown to love this vegetable. Roasted, sauteed, fried- with grilled being my most favorite at all. It's a Summer staple in our house, especially since it's so easy to find fresh at this time of year. This isn't so much a recipe as it is a PSA to get yourself to a farmer's market or grocery store and grab a bunch of okra and throw it on the grill. I promise you it will change your relationship with this southern vegetable. A veggie grilling basket will change your grill game so if you don't have one, get on it! You can do all of your Summer vegetables this way and they always come out so good with SO MUCH FLAVOR. Prepare the okra by washing and drying it. You can remove the tops, but I always leave them on and they are fine to eat! In a large bowl, toss okra with olive oil and sprinkle with salt and pepper. Transfer to a grilling basket/skillet and grill for 5-10 minutes, tossing frequently, until okra is charred and starting to get crispy. No better way to start off the week than with a healthy dinner recipe! My love for salmon knows no bounds and I'm always looking for fresh and new ways to prepare it. I LOVE grilling it in the Summer and getting that smokey grill flavor. Kebabs have been having a moment at our house, too. It's so easy to chop up a bunch of fresh ingredients, put them on a stick and throw it all on the grill. A one step meal that's delicous, healthy and doesn't take much prep time. These salmon kebabs are going straight to the top of my Summer favorites list. The flavor on the fish was INSANE from the grill as well as each piece being sandwiched between fresh lemon slices. Something about fish and lemon ALWAYS does it for me. I could be happy eating this as a meal every night this Summer. I found this recipe via Skinny Taste awhile ago and have been itching to make it. Also, how beautiful does the raw salmon and bright yellow lemon slices photograph!? These tasted as good as they looked. I tweaked the seasonings here a little and came up with my own spice rub for the salmon that was just perfect. It may sound strange, but don't forget to eat the lemons! This might be the best part of the meal. I just can't stop thinking about these kebabs. Soak bamboo skewers in water for at least 30 minutes before prepping your kebabs. I was able to fit all of my lemon and fish onto 4 skewers, and had them all pretty full. If you are serving more people, divide the fish and lemons amongst 8 skewers. In a small bowl, combine oregano, crushed red pepper, garlic powder, kosher salt and cracked pepper. Cut salmon into 1 inch chunks. Beginning and ending with the salmon, thread salmon and folded lemon slices onto the skewers. Sprinkle evenly with the spice rub and add a little bit more salt and pepper on top as well. Drizzle with olive oil. If doing these on an outside grill, grill on medium-high heat for about 8-10 minutes, until fish is fully cooked through. Make sure you turn the skewers often. For a grill pan, grill on medium high heat, turning often and cooking until the fish is cooked through, about 10-12 minutes. We had a weekend cool- down and a few days that felt so nice, breezy and almost cool, but the hot weather is back. Truthfully, I LOVE IT. I'm a Summer girl for life and as muggy and hot as it gets here, I would take these days over gray snowy ones ANY DAY. When Fall rolls around I'll be all Pumpkin spice love yesssss the best time of year is around the corner but for now, I'm sticking with Summer. I'm coming at you mid-week with a happy hour hack that's sure to make your 5pm cocktail a little bit sweeter...and easier! My friend April shared this simple syrup tip last week and I don't know why I didn't think of this sooner. Sure, simple syrup is simple enough on the stove, but why not make it simpler by making it in the microwave! Bonus points because you make it right in the mason jar so no need to transfer the mixture for fridge storage. That part is already done for you. I was shocked at how well this worked and how easy it was. Definitely a trick to have up your sleeve in a pinch or when you need a cocktail mixer for an impromptu night with friends. All you need is sugar, water, flavor infusers, a mason jar and 90 seconds in the microwave. Boom. And if you want to do this on the stove the old fashioned way, that works, too. In a mason jar, combine the water and sugar. Place in microwave for 90 seconds. If the sugar appears to have not fully dissolved yet, microwave in additional 15 second increments. As soon as no more sugar granules appear present, add in jalapeno and strawberry slices. Let the mixture come to room temperature. Strain out the berries and peppers if you like, or leave them in the mixture. Store in the refrigerator. I love Summer eating, but what I don't love is feeling full and bloated and just blah from the heat and a big plate filled with ALL THE FOOD. There are so many fresh ingredients available to us in the Summer and along with that comes many ways to lighten it up any way that we can...so we can do things like have an extra glass of wine or save room for an ice cream sandwich, am I right!? It's all about balance, after all. Ditch the heavy mayo based salads and get on board with this super simple Italian style number. It's so much lighter than most potato salads with bright and fun colors that look pretty on any delicious spread. Parsley adds a green punch and it's unique flavor while red peppers offer some sweetness and new texture. I love the simplicity of this dish, using only olive oil as the dressing and letting the fresh herbs and veggies do the rest of the work. Leaving the skin on the potatoes is also a key step! Adds so much more. I grew up eating this and everytime I make it, it's a huge crowd pleaser. Not your typical potato salad and an unexpected twist on a cookout staple. I promise if you bring this along to your next get Summer get together, everyone will thank you. Wash and chop potatoes into halves or quarters, depending on how big your potatoes are. Boil until you can pierce them easily with a fork, but not so long that they are falling apart. While the potatoes cook, prep your onion, garlic, parsley and roasted red peppers. When the potatoes are done, drain and rinse with cool water and let them sit a few minutes to cool off. Cut them into smaller chunks and place into a bowl with the onion, garlic, parsley and roasted red peppers. Drizzle all over with olive oil and season to taste with salt and pepper. Toss it all together and adjust your salt, pepper and olive oil to your liking. Serve at room temperature. Stars and stripes forever! Wishing you all a wonderful holiday and Happy Birthday America! Back in Business + A House Update! Copyright, 2007, Nina Moore. Simple theme. Theme images by Jason Morrow. Powered by Blogger.